Research foundry materials, casting defects and the investment casting process. Visit our download centre to access relevant product information. Remet supplies refractory flours and sands compatible for all alloys cast by the investment casting industry. With grades to make up primary (face coat) and secondary (backup) slurries of the ceramic shell. There are a number of key considerations, when selecting a refractory for use. Remet’s comprehensive range of refractories, enables us to create a solution to ensure both a high quality ceramic shell and final casting is produced. See our FAQ’s about shell testing here. REMET’S® UK Alumina products are high purity Al2O3 compounds, that provide a hard refractory material for use by the investment caster. Remet’s White Fused Alumina (also known as White Corundum) is a highly purity product fused and sized to meet the needs of the investment caster. Remet’s T1061 Tabular Aluminas are specifically sized, high density, low soda tabular alumina product exhibiting low porosity, resistance to chemical attack, resistance to thermal shock , high mechanical strength , extreme hardness and resistance to wear. This product is ideal for high temperature shell systems. DuPont’s Florida zircon sands are naturally occurring rounded-grain sands mined from heavy mineral deposits in Florida. These sands are chemically scrubbed to produce clean products that are free of dirt and ultrafines, then calcined to reduce water and other volatile content. Available in either Standard or Premium chemistries. Remet Zircon Sand and Flour are milled from raw materials from a newly opened resource with a long manufacturing life. The zircon is dried, milled, screened and subject to magnetic separation. Products have excellent chemical and physical consistency zircon is available in both fully calcined and part calcined forms. The thermal response of zircon is its major attraction to the investment caster. Not only does it have a low thermal expansion coefficient, but it also has a very predictable and linear response making dimensional prediction of finished parts much simpler and more reproducible. These products are broadly used by foundries producing aerospace castings-equiax, directional solidification and single crystal; and by commercial and art foundries which require premium surface quality. Remet Milled Zircon is dry milled to a controlled particle size distribution from fully calcined zircon sand. It is available in fine (FG), coarse (CG) and extra-coarse (ECG) sizings, which correspond to -400 mesh, -325 mesh and -200 mesh, respectively. This material is for use in investment casting slurries. It makes up the fine constituent of zircon mold cores and mold facings or a base for zircon foundry washes. Remet Zircon Sand is ideally suited for use as a primary stucco for investment casting molds. It is also used as a constituent of zircon founder cores, mold washes, or as a mold facing material and shell mold component. EZ-CAST CPS FUSED SILICA has been designed to provide the investment caster with a thicker shell build with the same number of coats, thereby making it possible to reduce the number of coats for many shell-building applications. The “EZ-CAST” shell system products increase shell thickness more rapidly with each dip when compared to standard flour systems. The “EZ-CAST” shell system products are all ready to use, one-component systems; no blending of flours is required. The “EZ-CAST” systems produce higher green and hot strengths, and will produce thicker, stronger, and more uniform shell molds with fewer coats. Remet Fused Silica is made from pure, natural white silica rich sand at 1980oC. At this temperature, the crystalline quartz melts and becomes non-crystalline. The resulting refractory is a pure material that is readily available, which provides a long life slurry practical for both ferrous and non-ferrous metal casting. Remet Fused Silica has excellent thermal characteristics, as it exhibits a very low level of thermal expansion (5.0 x 10-7 cm/cmoC). Whilst it also provides low thermal conductivity, together these attributes provide a refractory with excellent thermal shock resistance. This product provides for excellent slurry stability as well as good pH stability, when used in the primary coating. This will aid in preventing the solution from dropping out, which is crucial in achieving an even coat application, essential in avoiding surface defects. The shell produced using Remet Fused Silica, is both light weight and highly permeable. Whilst the refractories unique behaviour under extreme heat, creates a shell that once cooled, allows for an easier knockout. This material is offered in a wide variety of powder and grain sizes, including our Ez-Cast shell system, for both primary and secondary coat slurry applications. 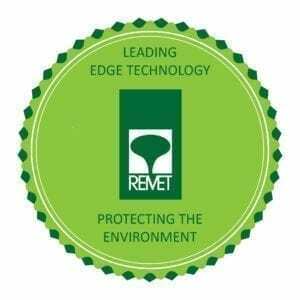 REMASIL® is the trade name for Remet’s Aluminosilicate products. Composed of two systems (REMASIL 48 & 60), all calcined to a constant weight and ground to specific grade of both grains and flours. These products produce investment casting shells of excellent refractoriness and high temperature stability, at an incredibly economical rate. The REMASIL® range provides increased strength when compared to Fused Silica systems. In the case of stucco grains, the custom grinding of REMASIL results in a more uniform product which has a narrow range of particle sizes and a minimum amount of fines (dust). Reduced fines improve both permeability and intercoat adhesion. Whilst the powder grains can offer the user a greater level of flexibility, through its offering in two separate cuts, allowing a foundryman to choose the specific grade that best suits their needs. Good refractoriness and high temperature stability. Higher Alumina content provides for increased refractoriness and stability at high temperatures. Excellent for casting larger parts. Performs exceptionally well when dimensional stability is crucial. How much does my shell cost?